I have another custom watercolor to share with you this month! This commission came in after a couple traveled to California and fell in love with Joshua Tree National Park. 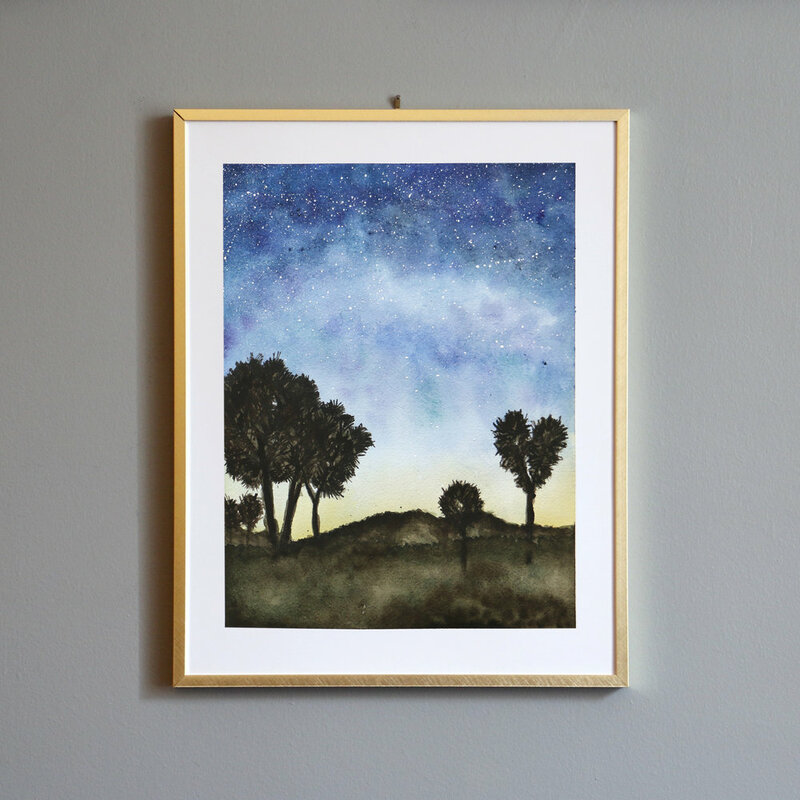 This painting is based on nighttime photographs I saw of the park. Did you know that Joshua Tree is the 10th certified International Dark Sky Park in the U.S. National Park system? Others include Death Valley, Big Bend, and Grand Canyon national parks. I love the color combinations and star patterns seen in evening views. Once I saw these photos, I knew this was the direction I wanted to go in for the watercolor. You can take a look at this post for the materials I used to create this painting. For this watercolor, I also use masking fluid to protect the foreground while I painted the sky. Masking fluid is a tacky substance that protects your paper from the paint. You can use it to preserve areas that would otherwise be too tiny or complex to paint around. You can paint it on using a regular brush but make sure to rinse it quickly otherwise it has a tendency to ruin brushes because it dries to a rubber-y texture. 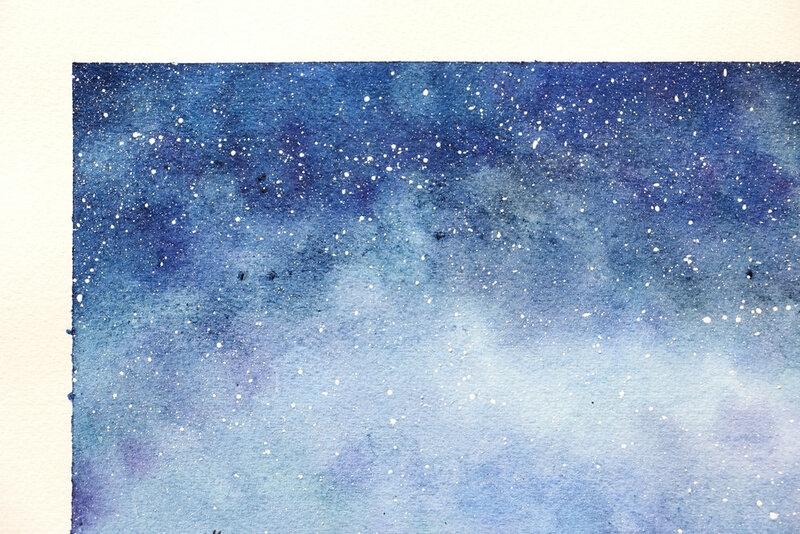 I began by masking the foreground so I could paint the night sky. I built the sky up in multiple layers to the get color saturation and depth I wanted. Once the sky was complete, I used white paint and a small angle brush to flick paint onto the paper to represent the stars. Once this layer was dry, I gently removed the masking fluid using my fingers and a tweezer. To create the trees and foreground, I built up multiple layers of green, black, and brown paint. The Joshua tree is a specific type of tree that is native to the arid southwestern US and is confined mostly to the Mojave Desert. Their unique shape posed a fun challenge for me since I had never painted this type of tree before. 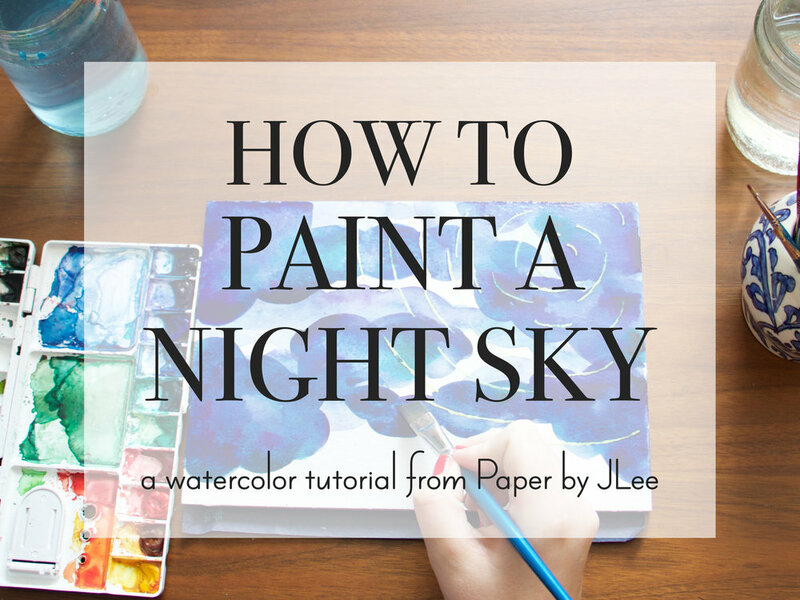 Step 2: Once the sky is complete, gently splatter white paint to represent the stars. Once this is dry, carefully remove the masking fluid. Step 3: Paint the foreground trees and landscape. The final watercolor is below! I love this brass metal frame (from Target!) and it offers a nice contrast to the dark watercolor sky. 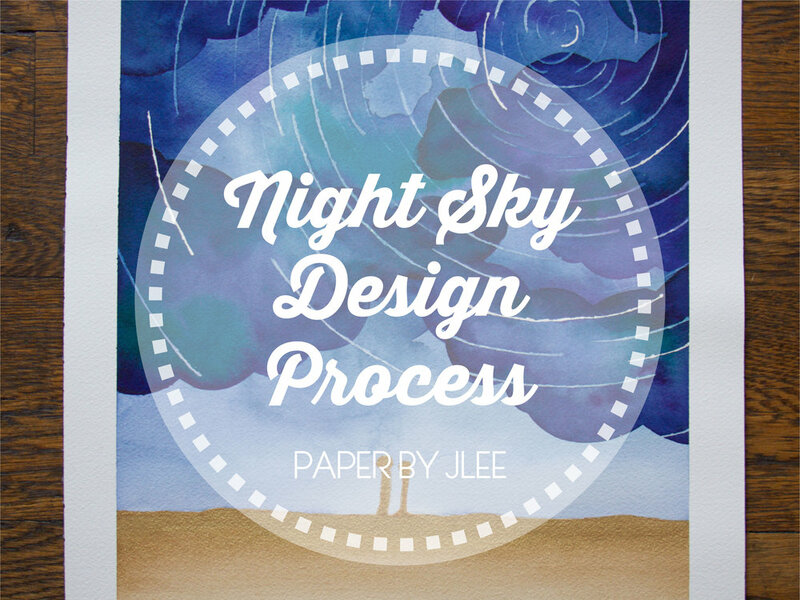 Have an idea for your own custom watercolor? 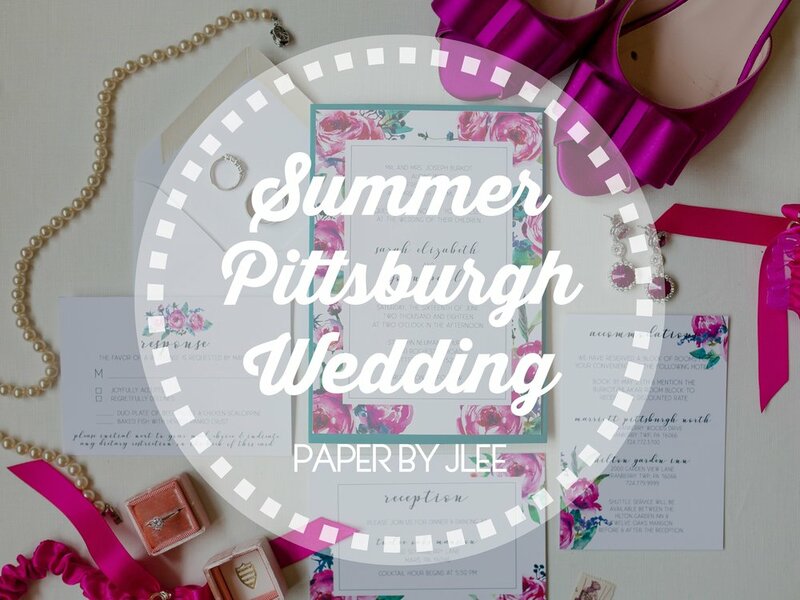 Email me at hello@paperbyjlee.com and we'll get started!